It is no surprise that Netflix continues to do well and build their customer base; but their recent growth in Q3 blew everyone away. The company projected it would add 3.2 million new subscribers; instead, they added 5.2 million new subscribers. The company has been looking to expand their international market and within the last quarter 4 million of the 5.2 million new subscribers were international. 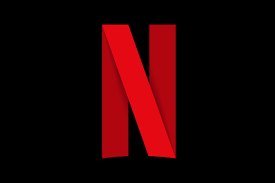 Additionally, this growth increased their stock by 9 percent, which is good news for the company as well as for those with Netflix stock. Have you ever been annoyed by the look of your TV or wish it could be hidden in some way? Well, Samsung has solved that problem by creating a TV that turns into a piece of art when it is turned off. The new TV lets you customize the frame of the TV, while also letting you choose to hang it with their “no gap wall-mount” or one of their stands. This may change the look of TVs from here out, but we will just have to wait and see if the new concept takes off. Drones have many abilities and it appears as if they will just keep getting smarter. The Airdog released the ADII last week and can follow and film users while they do extreme sports. To work correctly, the Airdog needs to be paired with the AirLeash, which is a waterproof wristband used at takeoff and allows users to make adjustments during flight. This drone advancement eliminates the need for a smartphone or remote, which makes it a lot more convenient to use. Around six months ago, John Hopkins All Children’s Hospital started to use a new technology to help them recruit more neonatal nurse practitioners. That technology is geofencing (used in many apps that have location services). It uses GPS and radio frequencies to set up a wireless perimeter—so how does this work for finding employees? They’re electronically collecting data from websites and educational systems to find applicants, while using the geo fence to narrow the search to applicant in a specific area. Once a list is created, potential applicants will receive advertisements for the position, making the application process easier for the employer and the potential employee. This has the potential to completely change how business will look for new hires as well as how individuals will be able to job search. Snap’s Spectacles are now available on Amazon! Although the Snap Spectacles are not new to the market, they will now be available on Amazon for $129.99 and will be eligible for next-day shipping. For those who are unfamiliar with the Spectacles, they are glasses with videotaping capabilities made by Snap, formerly known as Snapchat. The videos taken on the Spectacles will automatically download to the app, allowing users to post stories or send videos. Is traditional meal prep becoming a thing of the past? Meal prep and cooking is changing. There are now services that grocery shop for you and even send you completely prepared ingredients so you can pull them out of the box and start cooking. And now, Tovala introduces a new product that is meant to be a gourmet version of the old TV dinner. Tovola sends customers already-made meals each week—all that’s left is adding one ingredient and letting it cook (the future is now!). However, this convenience won’t come cheap. A special oven is required to cook the meals ($400) and meals costs $12 a piece.